Weather games for kids are a great way to get kids interested in science. With weather games, kids learn about all the science behind the weather. For example, they learn about cloud formation, rain, what causes the wind to blow or snow to form or why there are seasons. They also learn about the earth’s climate, past earth temperatures including the highest ever temperature ever recorded on earth. And just like scientists, they can keep track of the rain, temperature or wind on a daily basis. Weather games are also fun. And what’s great about these games is that kids can develop an interest in science and in the scientific approach. For example, some games involve collecting and analyzing data, which is exactly what scientists do when they conduct research. There are many kinds of weather games for kids such as weather labs and weather stations. In this section, we select the best games available in the market today. 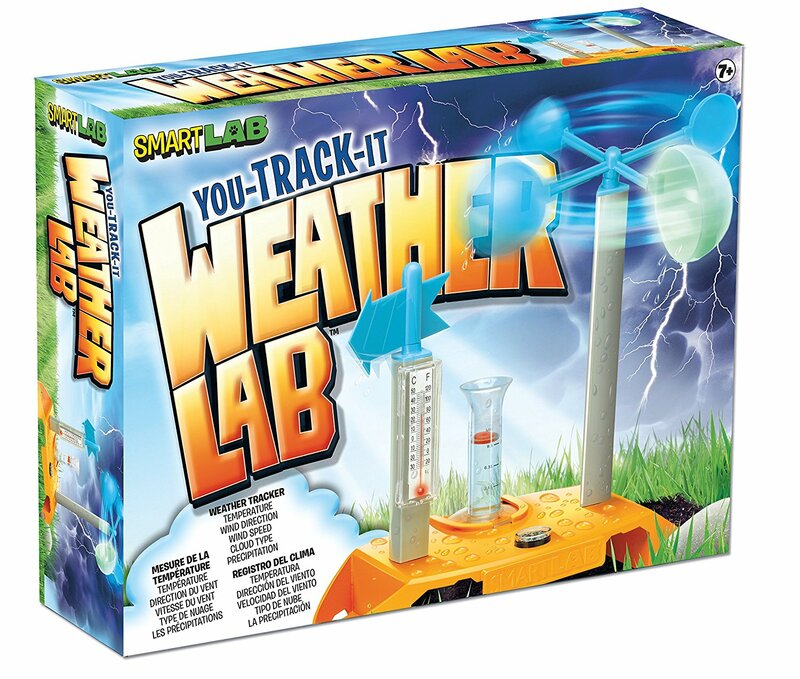 The first game that we recommend is the Smart Lab You Track It Weather Lab (ages 7 and up). With this game, kids track temperature, wind, rain, etc. They also learn about the weather, for example, they compare lightning to thunder or they understand the difference between a hurricane and a tornado. The game includes a rain gauge, an anemometer, a compass, a thermometer, a weather board, a weather tracking card, and a booklet with instructions and plenty of useful information! 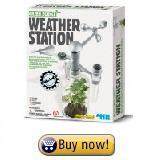 Another game that we recommend is the 4M Weather Station Kit (ages 8 and up). With this complete weather station (includes an anemometer, thermometer, wind vane and rain gauge), kids track the weather using a notebook. They learn about the green house effect. They can also get weather worksheets online for free. The weather station includes instructions and lots of helpful information. A great toy that will get kids interested in the weather and science. We also like the fact that it is so cheap. We also recommend a book called The Kids' Book of Weather Forecasting (ages 7 and up). It is a book designed for children containing information and activities related to the weather and weather forecasting. It contains beautiful illustrations and photos and projects such as making a barometer, a rain gauge, and various other weather instruments and even how to create a tornado! It was written by senior meteorologist Mark Breen who teaches the weather at the Fairbanks Museum in Vermont and who is also the director of Vermont’s only planetarium. The book also received an award from the American Meteorological Society. Overall a great book that is sure to get kids interested in science and the weather. Visit also our science projects for kids page, which includes projects such as tracking the rain fall and making a barometer.